We tried to draw the other half of our photo using pencil. It was hard but we did it! 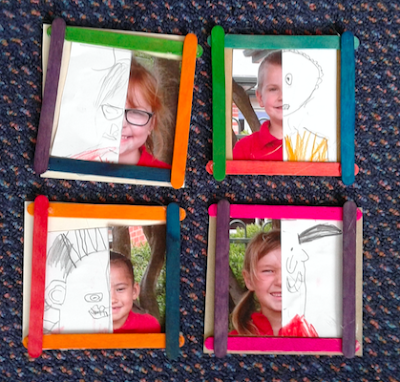 Leanne helped us by making picture frames with ice-block sticks.